other anglers to catch the same fish again. Louis Cook says that when the catches are well-documented and have specific scars or other features, such re-catches can be easy to confirm. Below are some of Cook's collection of anecdotes and photos of fish that have taken the bait more than once. Click here for PDF copy of Fish Consumption Advisory. READ IT AND BELIEVE IT! 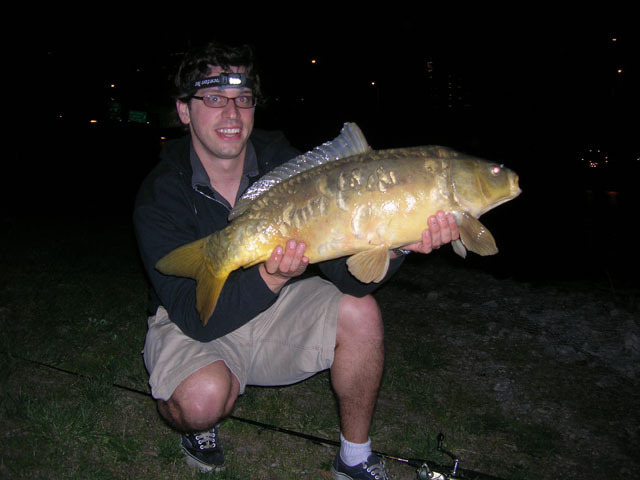 to other information about urban fishing. look pretty much the same unless you really scrutinize them, few realize it. I have been encouraging the flathead catfish guys to start taking similar notes. Anyway, That illustrates my little point well, and I thought you'd find it interesting. Just in case you do...here are two of my favorite examples from other anglers. This fish was first photographed in 1995 in the Washington, DC tidal basin. The basin has a small channel that runs out to the Potomac. Below, in 2001 here it is at the same location, but much bigger. 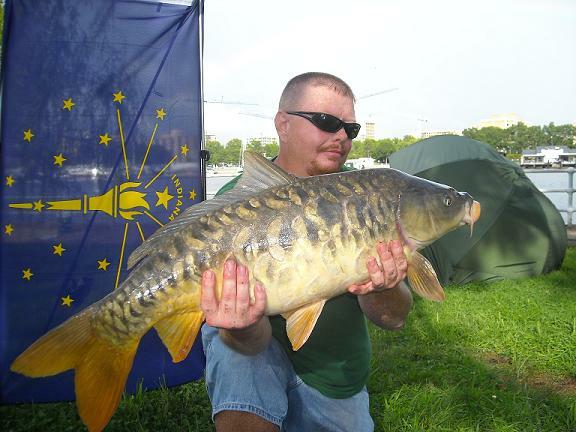 This guy flew from California to fish a Carp Anglers Group social event. 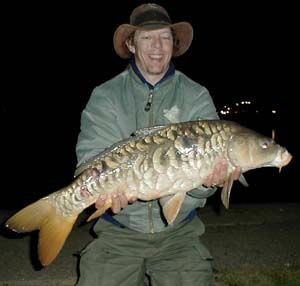 And finally, once more (below) in September 2008 at the Carp Anglers Group (CAG) CCC tournament. This time out in the main river. This guy came from Indiana. 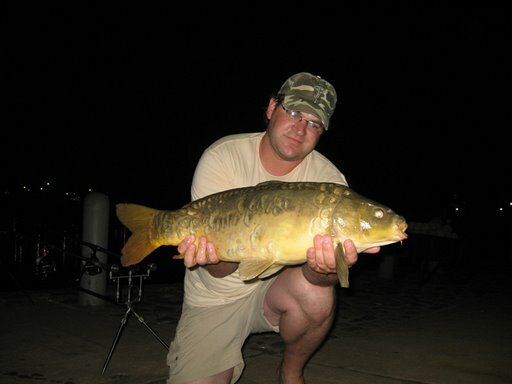 Here is another, also from the Potomac. 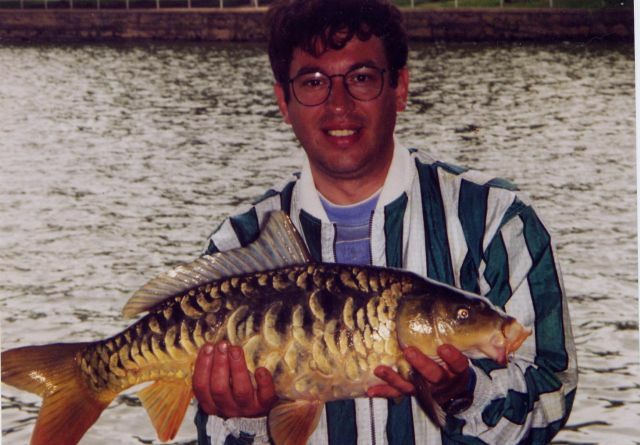 This fish was caught four times over seven years. You can actually see my buddy Pat getting older.